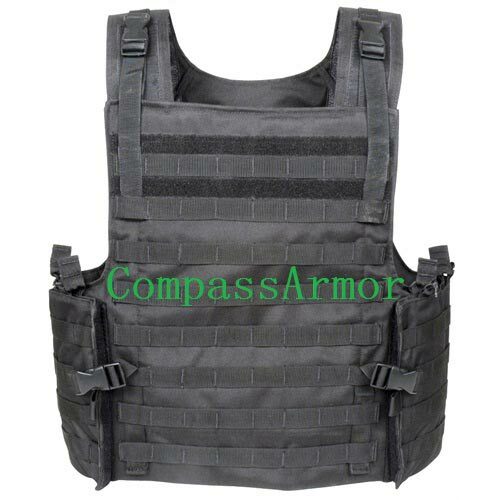 We are engaged in offering Voodoo Tactical FAST Body Armor Carrier MOLLE Vest to all our valuable buyers. With the aid of our Bulletproof Vest (BPV-VD), the plates are easy to insert all thanks to the plenty use of Velcro fasteners. Our Bulletproof Vest is offered by us at rock bottom prices. This is a common piece of tactical gear designed to hold ballistic plates for military or law enforcement personnel. It includes padded pouches specifically designed to hold plates up to 10 x 13 inches, and the plates are easy to insert thanks to ample use of Velcro fasteners.